Lovely, lush Los Lagos, single family homes in the Villages, just up from the condos. 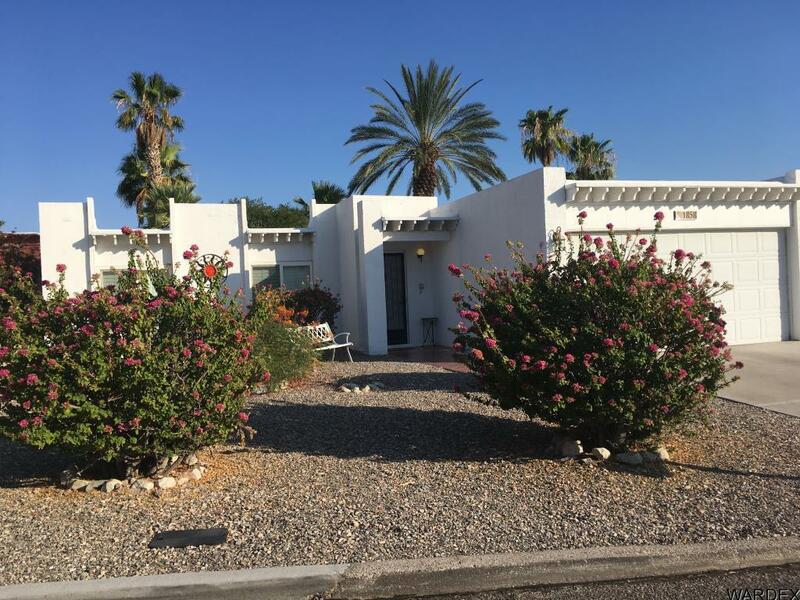 Close to lake, bridge, downtown, one of the most beautiful, quiet, serene, lush areas in Lake Havasu City, along with a breathtaking community pool & area. This nice, bright home has been updated, with a great shady & very private backyard with awesome covered wrap around porches. Great 2 car attached garage. Tenants to stay in home to the end of lease term of 2/28/18.